California Democrat Senator and 2020 presidential hopeful Kamala Harris gave a speech to the Human Rights Campaign Los Angeles on Saturday night. During her remarks, she whined about needing therapy because of President Trump. "It [Trump's presidency] has caused a lot of us to go through individual and group therapy. It has caused a lot of us to feel a bit of despair, and depression, and anxiety, and fear. And I say don't let the bad guys win," Harris said. Ah yes. Harris doesn't simply have policy disagreements with President Trump, she views him as a "bad guy." Like other Democrats, she's attempting to make the 2020 presidential race about "who we are" and America's "morality." On the campaign trail, Harris has raised $12 million since announcing her candidacy earlier this year. Senator Kamala Harris announced Monday night that her 2020 campaign raised $12 million in her first two-plus months running for president, a sum that is expected to vault her into the top tier of financial competitors in the wide-open Democratic primary. 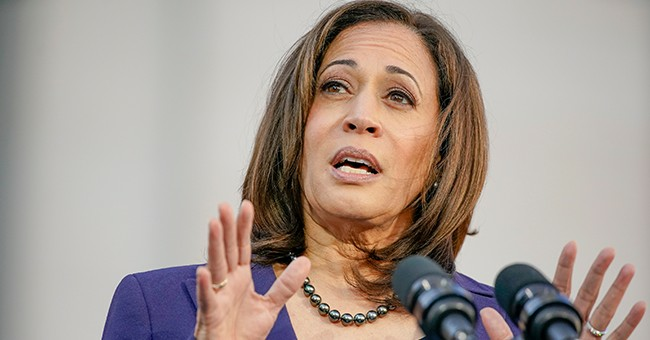 Ms. Harris, a first-term senator from California, invested heavily building an online network of donors in the two years leading up to her launch, spending millions of dollars to increase the size of her email supporter list. Her campaign said more than $6 million of her fund-raising — about half of her total — came from her digital program, including $1.1 million in the last week. Editor’s note: A previous version of this post incorrectly stated Harris raised $12 billion. She raised $12 million.